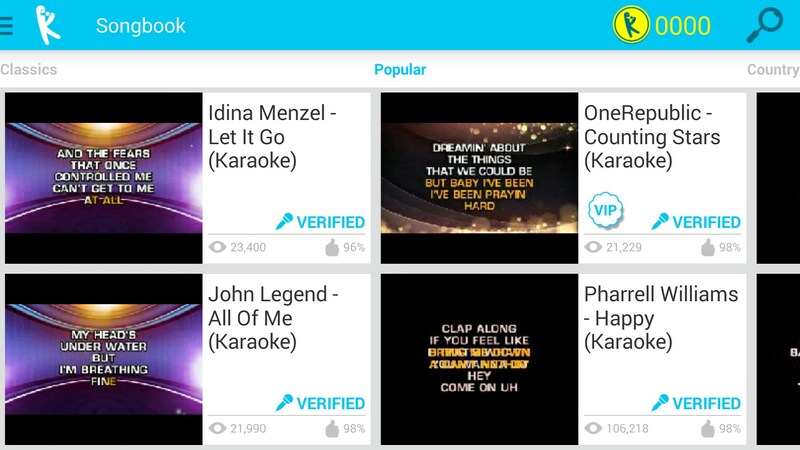 Yokee Karaoke – Soft for Android 2018 – Free download. 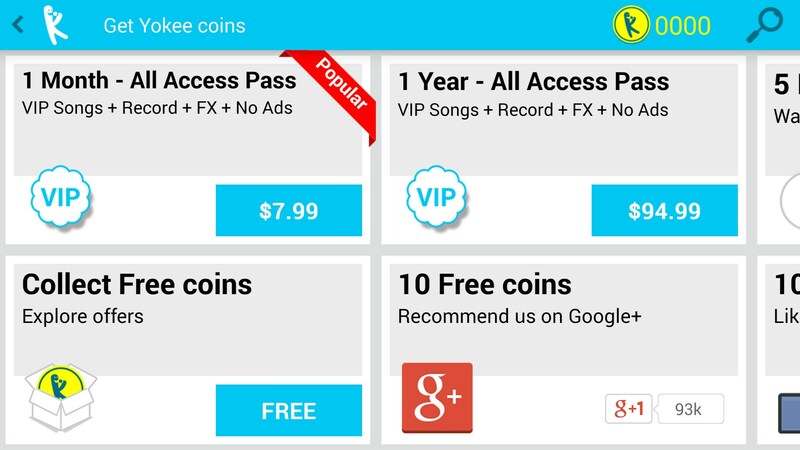 Yokee Karaoke – Karaoke singing for android. 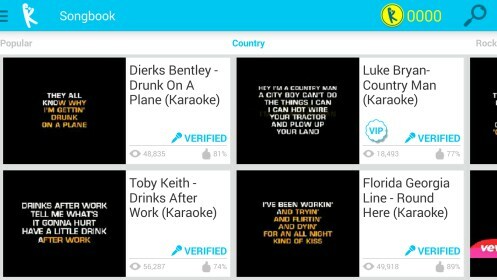 Yokee Karaoke Sing & Record for Android is an application where you can sing along to a variety of different songs with lyrics provided in classic karaoke fashion. All you need is some headphones and you are good to go! Or perhaps some patience as well. 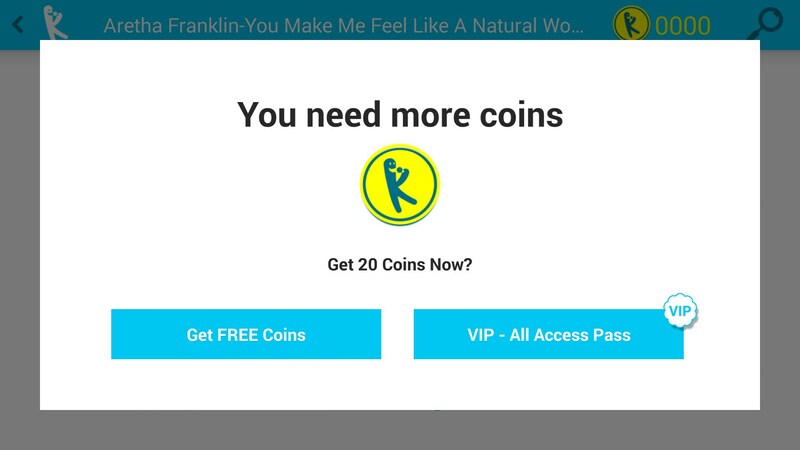 The way the application works is that you can’t listen to yourself and how you sounded throughout a song unless you pay, or grind out songs without listening to yourself. I think the most fun part of the application is hearing yourself, and to have it restricted in such a way is a big deal. 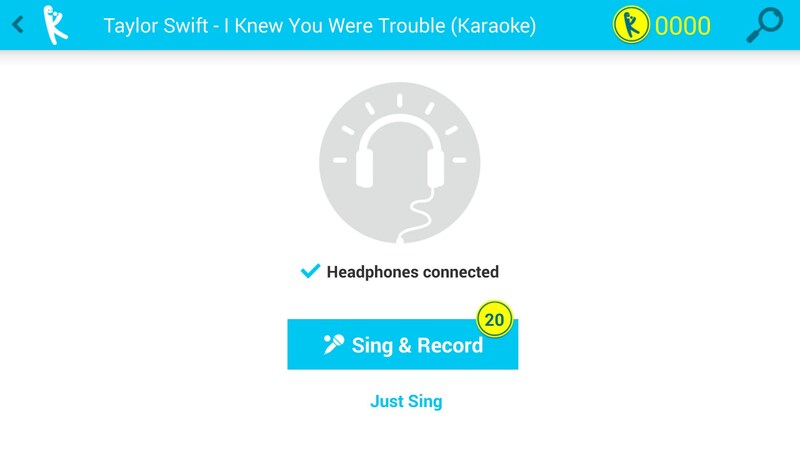 Karaoke is fun in bars because you are putting yourself out there, but with this application you are just doing it solo - especially since it wants you to use headphones. If you are looking to do a lot of songs and just practice singing, you might not mind this barrier of entry annoying. There are a lot of different genres to pick from, ranging from popular music, to 70's and 60's music. There aren’t too many songs available in each range, and I couldn’t find Nirvana in the 90's section. The layout isn’t really the best to find your perfect song, as you can really only see four songs at a time. It takes some browsing, and can get confusing. Once I finally got my recording done, it sounded awful. I’m not sure what went wrong, but I would rather listen to nails on a chalkboard than what my recording ended up like. My voice was distorted and full of crackling. For an application that took a lot of time just to record, it was very disappointing. My voice doesn't really sound like a dog dying does it? Yokee Karaoke Sing & Record seems to be a solid application with all of it’s music offered. But it’s model and way to make to use the application is bothersome and it’s recording questionable. Try out the application if you are a diehard Karaoke fan, but be warned, you might not get the most pleasant and fun Karaoke experience.